No Baloney. Microbes? Get Info! 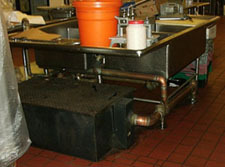 CLOGGED DRAINS, GREASE TRAPS, OR LIFT STATIONS? Qualitech can help! 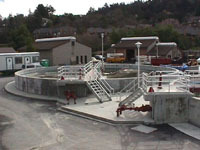 Our unique microbial solutions remove organic waste from grease traps, grease interceptors, drain lines, lift stations, wastewater treatment plants, and residential cesspools and septic tanks faster and better than anything else on the market. Enzyme products and other microbial solutions aren't even in the same league! CAN YOU KEEP A SECRET? Qualitech has developed microbial products using naturally occurring bacteria modified by instilling selective enhancement techniques. Bacteria were put into our environment by nature to identify, liquify and consume all organic wastes that we produce, such as those in our waste water- but chemical additives in our food keep them from doing their job! Selective enhancement is like giving each one of our bacteria a hammer drill that gives the microbes the ability to get past the additives and reach the organics, where the microbe can then do what nature intended it to do. Taking nature's own waste degraders and tuning them into superior waste consumers, Qualitech Systems, Inc. has been the leader in selectively enhanced, non-toxic, non-caustic, USDA approved microbial formulas since 1988. Consume the waste- eliminate the problem.™! 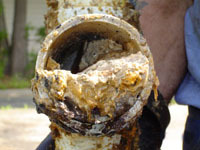 Are all of your drains, traps and systems free-flowing and odor-free? If the answer is no, contact us today! Qualitech Systems Inc. was founded in 1988 with the sole mission of cleaning the world's waste water in the most natural, wholesome way possible. We believe that the use of harsh, dangerous and toxic chemicals to clean wastewater is counterproductive, and use only nature's own waste-degrading microbes that leave nothing extra behind.